Johan Celsing will give the lecture The Poise of Stone and Swing of Song. As President of the jury of The International FAD Awards Johan Celsing will give an open lecture "Plans Metres, Recent works of Johan Celsing Arkitektkontor" at the FAD Headquarters on the evening before the announcement of the FAD Awards. Venue: Pl. De les Glòries Catalanes 37-38, Barcelona. Time: 19.00. The Porto Academy has invited Johan Celsing as a Workshop Leader in The Porto Academy `17. Johan Celsing will give an open lecture of his own work on the 24th at 10 am. Venue: Faculty of Architecture of the University of Porto, (FAUP), Via Panorâmica S/N, 4150-755, Porto. The three encased volumes, entitled Under Construction 2011, 2013, 2015, each contain four buildings under construction. The works are presented in texts, drawings, sketches, full-scale prototypes and in snaps shots of material samples and of building sites as well as in the precise photography of London-based photographer Ioana Marinescu. 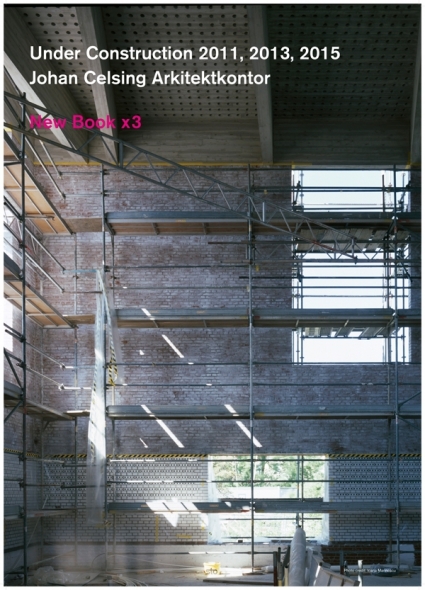 Each volume includes essays by Johan Celsing discussing the discipline of architecture and topics related to the works. The New Crematorium at the Woodland Cemetery in Stockholm. 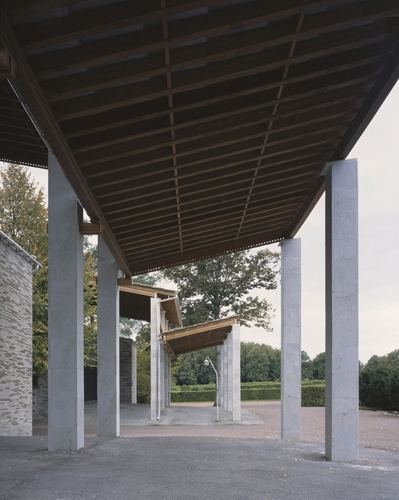 The reconstructions of the Canopies of Sigurd Lewerentz’ at Malmö’s Eastern Cemetery. 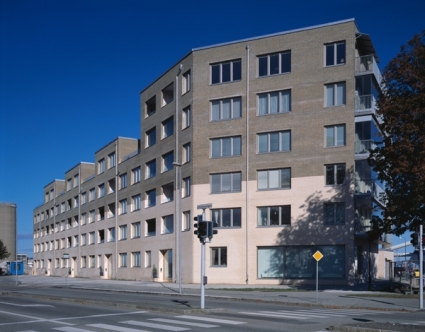 The Brick Tower in Malmö. The book may be purchased from selected book sellers. As a recipient of the RIBA International Fellowship 2017 Johan Celsing will give a Masteclass at the Mackintosh School of Architecture at 10 a.m. on January 30. 2017. 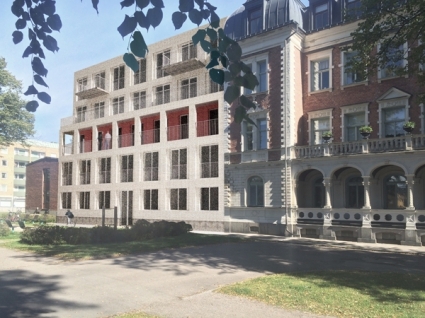 Johan Celsing, Arkitektur som mönster och språk. Lecture on the invitation from Senioruniversitetet, Uppsala. Johan Celsing has been awarded the RIBA International Fellowship 2017 in recognition of his contribution in Architecture. The award will be presented at a ceremony in London at RIBA, 66 Portland Place, on 30. January 2017 as part of the RIBA Royal Gold Medal Week. 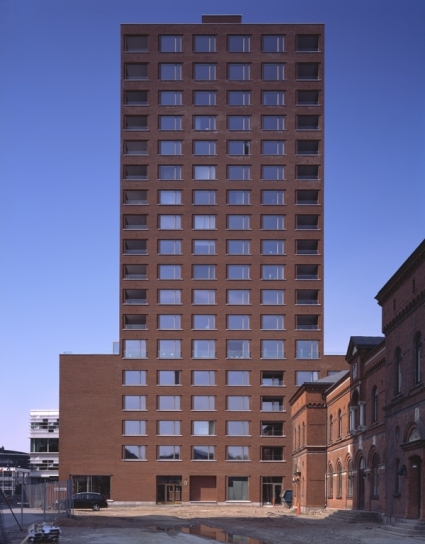 The Brick Tower, located next to the new Malmö concert hall Malmö Live, has been documented in photography by London-based photographer Ioana Marinescu. 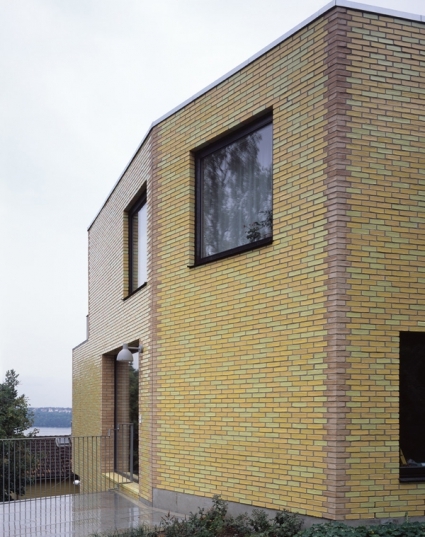 The project was recently reviewed in Arkitektur, the Swedish Review of Architecture in no. 8, 2016. Yellow House at Mälarhöjden, Stockholm. The house inaugurated in 2016 has been documented in photography by London-based photographer Ioana Marinescu. The reconstructions of the canopies by the twin-chapels St Knut and St Gertrude has been documented in photography by London-based photographer Ioana Marinescu.